A community circus on site, now in it's 4th year. 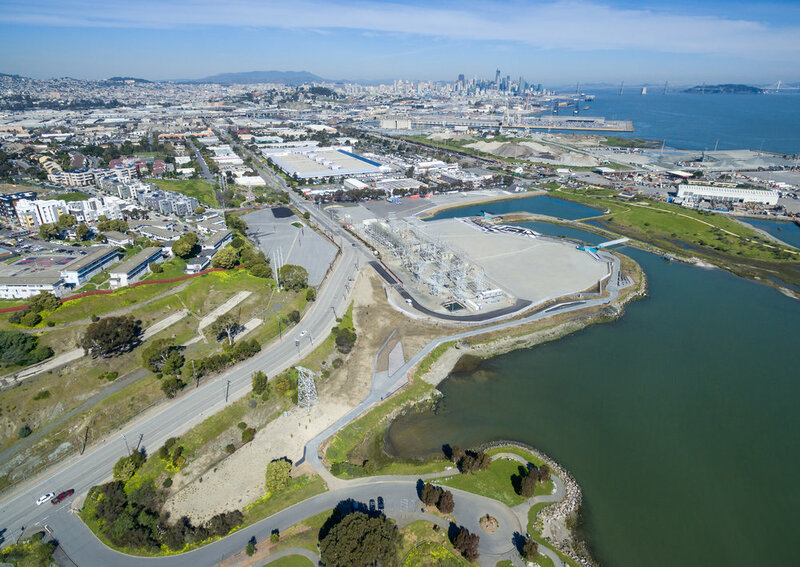 Over the past six years URBIN has worked in collaboration to develop and implement a site management and long-term disposition strategy of this 32-acre site located on San Francisco's southeast waterfront. 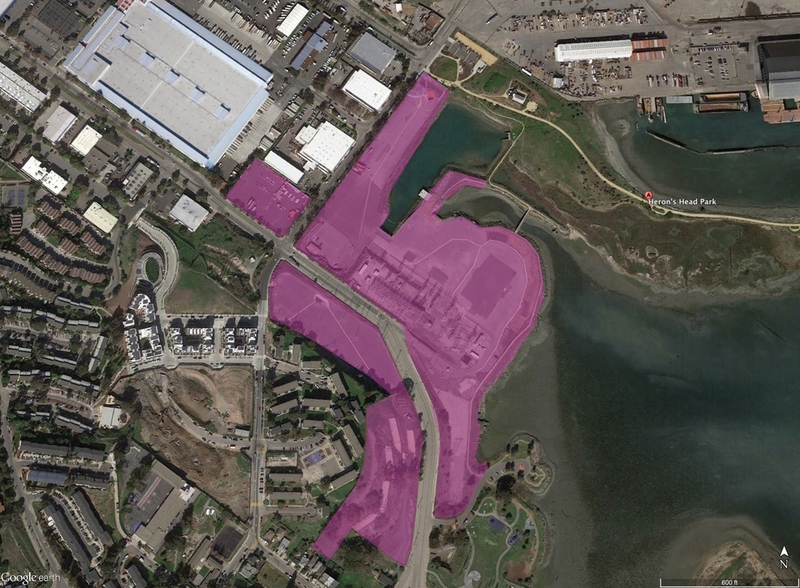 In 2012, URBIN, developed an RFP for strategic improvements to the Hunters Point shoreline and perimeter site improvements. 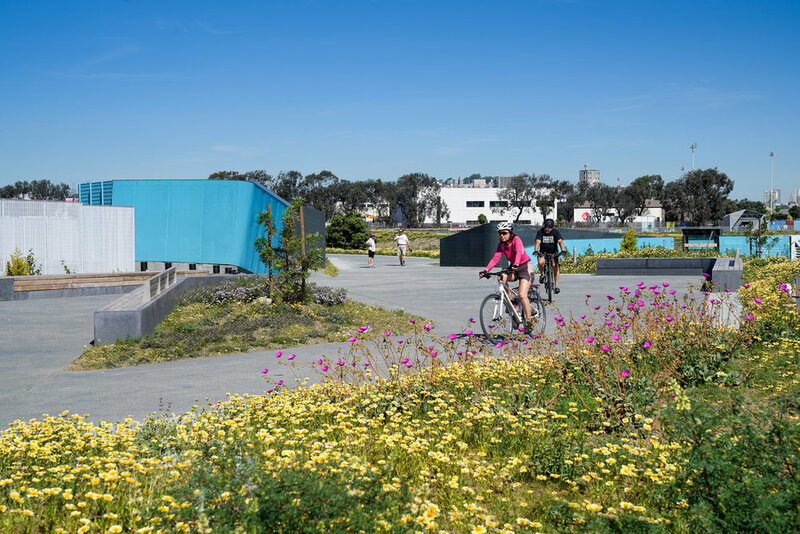 The Hunters Point Shoreline remediation and restoration plan improves the existing Bay Trail, bringing it in line with current BCDC Bay Trail and Blue Greenway standards, while providing much needed urban green space. The design, by Envelope A+D and RHAA. Work on the shoreline remediation and restoration began in September 2016. An integral piece of the of the site management strategy, Now Hunters Point, is designed to activate the site in the short term and as a tool to evaluate potential uses compatible for longer-term development.